I don't know about you but I am soooo happy that its Friday! Since its Friday you might be searching on Pinterest for a quick weekend craft project. 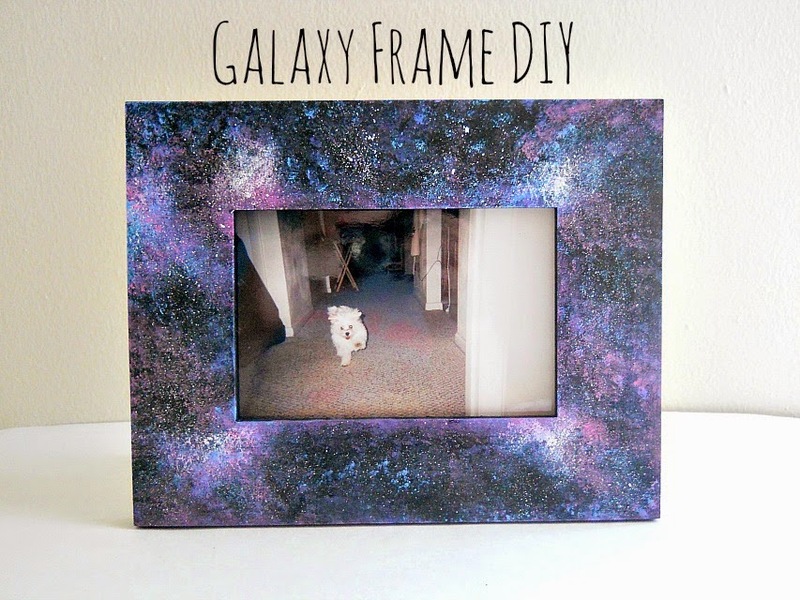 If so, then you should stop what your doing and go check out my Galaxy Frame DIY over at Punk Projects. The project is super simple to make and looks so darn cool when its all done. Punk Projects, is an awesome craft blog run by the talented Katie Smith. She makes a ton of different projects ranging from mix medium cards, cool wall art and even dabbles into some sewing. While your over there, you should also check out her galaxy projects (this one and this one are my personal favorites). You can get all the details for my project here. Thanks for guest posting!! I love your frame!